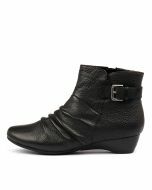 Featuring Supersoft cushion comfort technology, this ankle boot is essential for the cooler season! 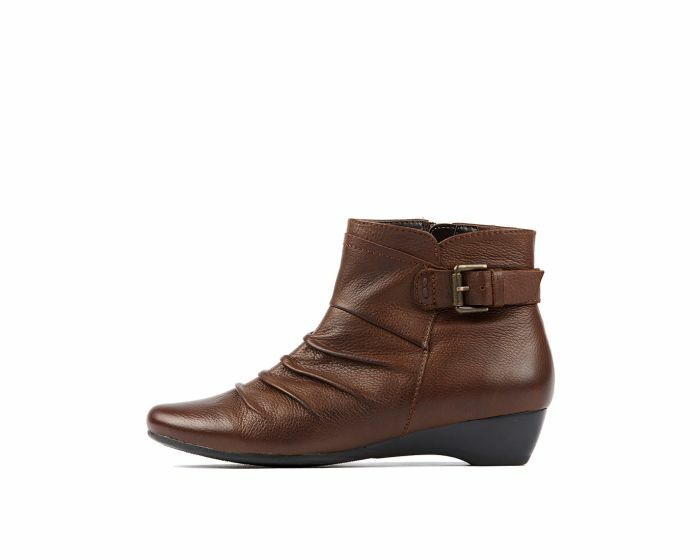 The pebbled leather upper has a slouchy finish, giving the shoe a relaxed feel and stylish look. Durable and slip-resistant, the boot includes an adjustable buckle fastening that offers a dash of detail as well as a custom fit!